One can assume that former Attorney General John Ashcroft didn’t mean it to be funny, but his testimony on Thursday before the House Judiciary Committee might strike one as hilarious, were it not for the issue at hand — torture. Ashcroft is the Attorney General who approved torture before he disapproved it, but committee members spared him accusations of flip-flopping. But Ashcroft added that, despite this, when concerns about that earlier guidance for interrogations were brought to his attention, changing his mind “was not a hard decision for me.” A very flexible Attorney General. 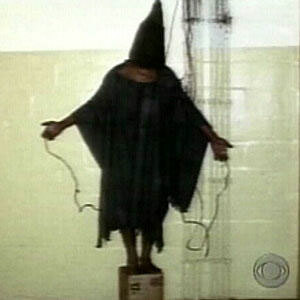 A recent poll showed that 44% of Americans support torture on "terrorist suspects". A key architect of America's torture program, Doug Feith, testified under oath to Congress today that torture is necessary because - otherwise - we couldn't get any information out of the "bad guys". Several Congress people agreed. Why do any Congress people support this argument? Because many people mistakenly assume that torture works, and is thus a necessary evil. Let's put aside questions of morality, humanity, and legality . . . Let's just focus on one question: does torture work? In fact, the professional FBI, CIA and army interrogators all say no. Our local radio station KPFA just covered the torture hearings with Feith that took place in Congress today and investigative journalist Jane Mayer's new book exposing torture info is now out at the same time. I was looking up what she's said about 9/11 and what the book might say and came across the descriptions below. She mentioned how members of the Administration who spoke to her were so intimidated by Cheney that they had to speak in code to each other because they assumed that Cheney was tapping their phones. I expect she probably rejects "inside job" -- afterall, she was formerly a Wall Street Journal writer, is a Yale grad, etc -- but it could be an opportunity to provide her with more info, if possible. What was the outcome with Naomi Klein? I'd be interested to hear any ideas of what did or didn't work for interacting with her and getting info across. "The Dark Side: How The War on Terror Became a War on American Ideals"
Will be archived here shortly after the broadcasts. 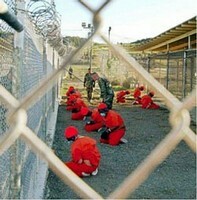 3 Released Gitmo Detainees Tell All on No Lies Radio! 9/11 Perps or Patsies? - you decide! 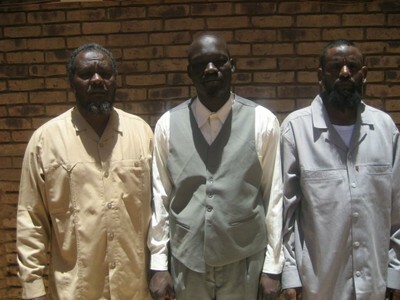 Listen to the gripping testimony of these 3 released Gitmo detainees carefully! Then Act! Read Rep. Kucinich's Articles of Impeachment. Call the Judiciary Committee and your Representative and Demand Impeachment Hearings Now. Be sure to mention Article 17 (illegal detention), Article 18 (Torture), Article 19 (Rendition) and Articles 33-35 regarding 9/11 Truth. Call 6 friends to do this also and ask them to call 6 friends...and this will go viral!!! WASHINGTON (Reuters) - The Supreme Court said on Monday it would decide whether a lawsuit can proceed against the former U.S. attorney general and the FBI director in a case brought by a Pakistani man who said he was abused in detention after the September 11 attacks. The high court agreed to hear an appeal by former U.S. Attorney General John Ashcroft and FBI Director Robert Mueller, arguing they cannot be held personally liable in the lawsuit by Javaid Iqbal, who was held more than a year at a Brooklyn detention center after the September 11 attacks. The decision followed last week's landmark Supreme Court ruling that held the Guantanamo Bay prisoners can go before U.S. federal judges to seek their release, a setback for President George W. Bush. Iqbal, a Muslim, said in the lawsuit he was subjected to unlawful ethnic and religious discrimination and subjected to verbal and physical abuse, including unnecessary strip searches and brutal beatings by guards on two occasions. A new report by the Justice Department Inspector General details many of the harsh and intentionally humiliating techniques that the U.S. military used against Mohammed Al-Qahtani, a Saudi detainee at the Guantanamo Bay military prison who many US officials believe was meant to be the 20th hijacker on September 11, 2001. The 438-page IG report focuses on the FBI's involvement in detainee interrogations in Iraq and Afghanistan. But it also provides a window into the methods used by the Defense Department and the CIA on uncooperative detainees such as Al-Qahtani. Quoting military records and reports, the Justice Department Inspector General said that a "special projects team" of the U.S. military interrogated Al-Qahtani between November 2002 and January 2003. 18/05/08 "ICH" -- - U.C. Berkeley tenured law professor John Yoo epitomizes the failure of the conservative movement in America. Known as "the torture professor," Yoo penned the Department of Justice (sic) memos that gave a blank check to sadistic Americans to torture detainees at Guantanamo and Abu Ghraib. The human rights violations that John Yoo sanctioned destroyed America's reputation and exposed the Bush regime as more inhumane than the Muslim terrorists. The acts that Yoo justified are felonies under U.S. law and war crimes under the Nuremberg standard. Yoo's torture memos are so devoid of legal basis that his close friend and fellow conservative member of the Federalist Society, Jack Goldsmith, rescinded the memos when he was appointed head of the Justice Department's Office of Legal Counsel. Yoo's extremely shoddy legal work and the fervor with which he served the evil intentions of the Bush regime have led to calls from distinguished legal scholars for Yoo's dismissal from Berkeley's Boalt Hall. Supreme Court Justice Scalia says that torture doesn't constitute “cruel and unusual punishment”, because torture is not meant to punish, but only to illicit information. Mr. Scalia's argument fails for several reasons. Initially, torture is a notoriously inaccurate way to obtain information. Indeed, it is well-known by professional interrogators that torture doesn't work. Experts on interrogation say that torture actually interferes with the ability to gather useful information. So if torture is not an information-gathering technique, its only purpose must be punishment and/or intimidation. WASHINGTON (CNN) -- Prescott Prince is a small-town lawyer who has never taken a death penalty case to trial. Yet he finds himself involved in one of the biggest capital punishment cases this century: He's defending the alleged mastermind of the September 11, 2001, terror attacks, Khalid Sheikh Mohammed. He readily acknowledges how his client is perceived as "one of the most reviled people" in the world. But he says it's imperative America give Mohammed a fair trial, just like anyone else accused of a crime. No civilian court, he says, would accept confessions obtained after a defendant was mistreated. But the CIA admits Mohammed was waterboarded, a controversial interrogation technique that involves simulated drowning. "I take the position that this is mock execution. ... Colloquially speaking, at least it's torture," Prince says. The fact whatever Mohammed said during such duress could be used at trial is alarming to Prince. Pope Benedict XVI arrived in the United States last week against a macabre backdrop featuring reports of torture, execution and war. He chose not to notice. When initially ABC attempted to insulate the president from this sordid activity, Bush abruptly bragged that he knew all about it and approved. That comment and the action memorandum Bush signed on Feb. 7, 2002, dispelled any lingering doubt regarding his personal responsibility for authorizing torture. Execution: Meanwhile, the U.S. Supreme Court, with a majority of judges calling themselves Catholic, was openly deliberating on whether one gram, or two, or perhaps three of this or that chemical would be the preferred way to execute people.